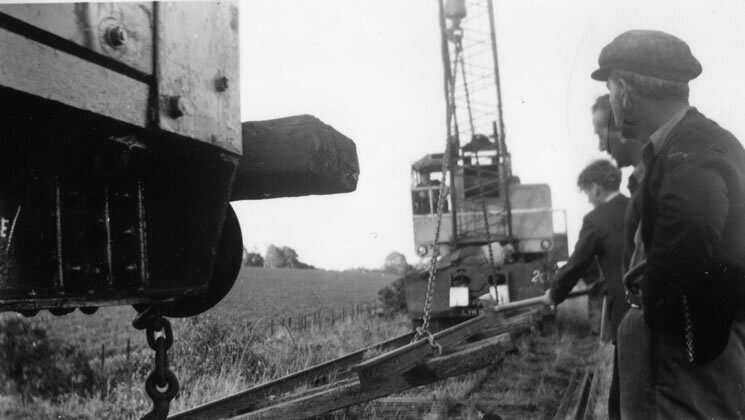 The Following photographs of the dismantling of the EKR mainline were a series taken by David F B Kevan in 1958 and have been deposited in the Colonel Stephens Railway Archive. They evoke a way of doing things as far removed from today as building the original railway. Dismantling seems to have carried out by a Messrs George Cohen's ‘600 Group’ with the help of a road mounted crane. Presumably on hire to Cohen’s, the he O1No.31258 of Dover shed was an EKR regular and was the last but one O1, being withdrawn in 1961. 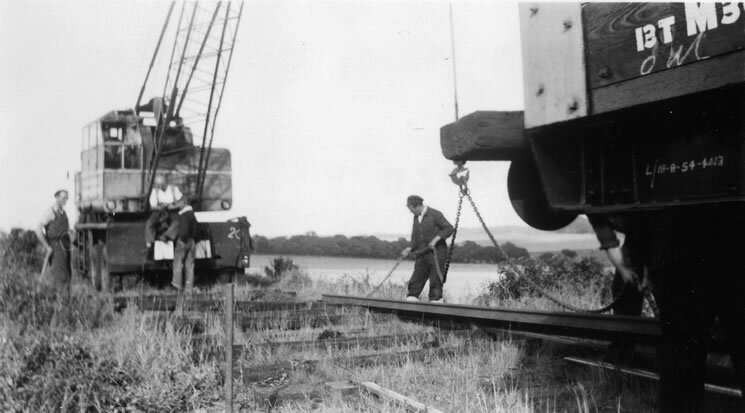 The flat bottomed rail, which was probably the original from the 1920s or earlier, seems to have been levered off with crowbars, and if there were any stubborn ones left, the crane lifted complete lengths of track from the ground for the remaining sleepers to be whacked off with a sledgehammer. 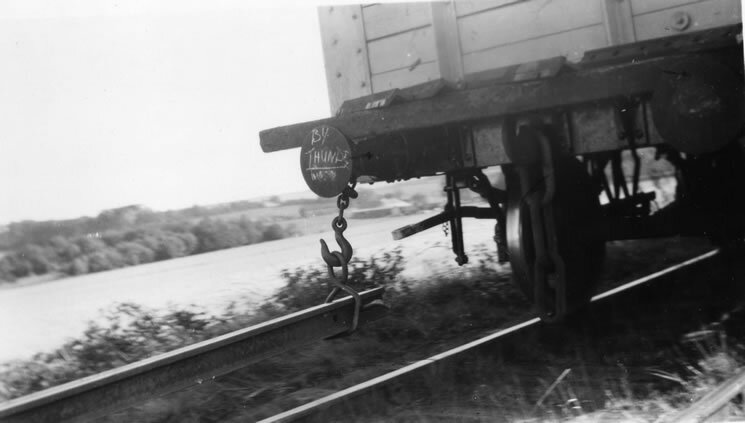 In the absence of a suitable flat wagon the rails were dragged forward by crane and hooked by one end to the buffer of the wagon. The complete train then ran to the dumping point dragging unloaded the single rail, dumped it and returned to the crane. The Inscription “By Thunder” chalked on the wagon buffer refers, we think, to a horse which had won or was being tipped to win a big race at about that time. In these photographs, the crane was about halfway between Knowlton & Elvington halts and the dumping point at the place where the Tilmanstone Colliery sidings almost rejoined the colliery line by New Purchase Farm, map ref 266912.